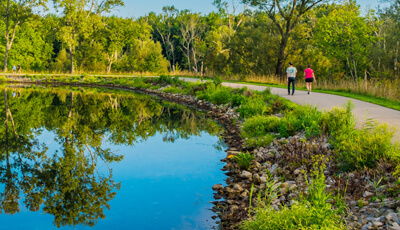 This 101-acre park, donated in memory of Walter C. Best, founder of the nearby Best Sand Corporation, who built its 30-acre lake because of his interest in waterfowl, is home to a rich diversity of plant and animal life. Three trails total 1.6 miles. 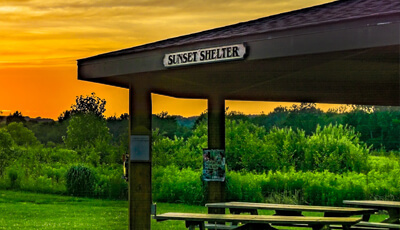 We might be biased, but we think Sunset Shelter is the best place in the world for a sunset event. Click here to learn more about, or reserve, a facility. Walter C. Best Wildlife Preserve is also home to a small pavilion at its front entrance that is non-reservable, just first come, first served. Three asphalt trails take you on a picturesque path around your park. More than 100 kinds of birds have been seen here, mingling with other pondside neighbors. Mammals such as woodchucks, chipmunks and squirrels are readily seen, while deer, raccoon, Red Fox, mink and voles leave signs of their secretive presence. Muskrat and beaver are often seen in and around Best Lake. More than 100 kinds of birds have been sighted here. While many are migratory visitors, the marshy meadows, thickets and wooded stream corridor harbor an outstanding variety of nesting songbirds. Nest boxes shelter bluebirds, tree swallows and wood ducks. The aerial courtship display of the male American Woodcock can be observed at dusk on early spring evenings. In the water, aquatic plants provide a soggy “salad bar” for ducks and geese. 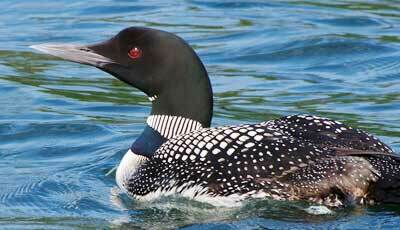 Fish-eating birds such as grebes, mergansers, gulls, loons, terns and herons frequent. Keen observers may spot an osprey or bald eagle. A patch of tall-grass prairie, using Ohio seed sources, offers an attractive nectar source for hummingbirds, many kinds of butterflies and other insects.